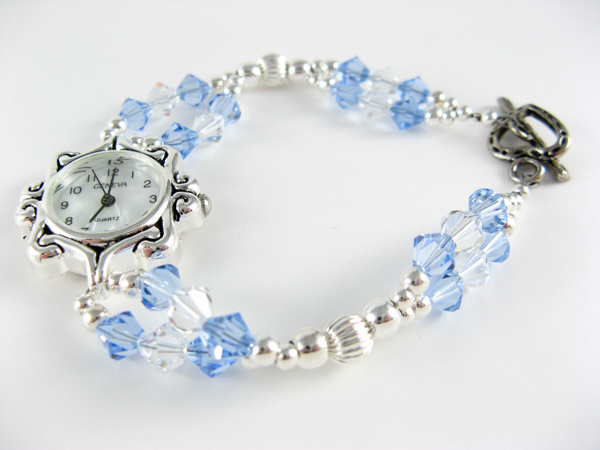 Make this beaded watch band with your favorite swarovski crystals and sterling silver beads. You can also use round crystals instead of the bicone shaped ones I used. Step 1: String one 10 inch piece of beading wire through the watch face. 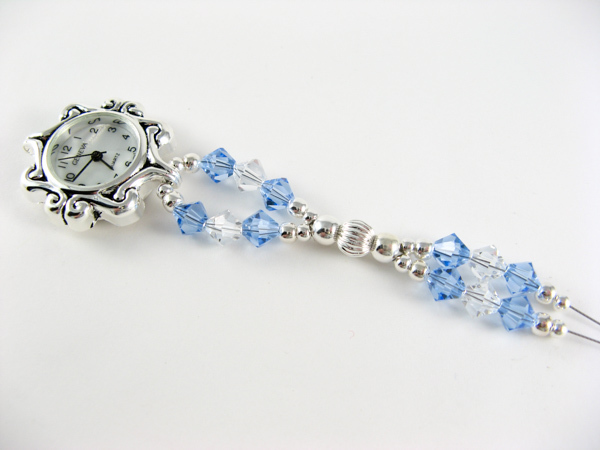 On each side string a 3mm silver bead, a 4mm silver bead, a blue crystal, a clear crystal, another blue crystal, a 4mm silver bead, and a 3mm silver bead. 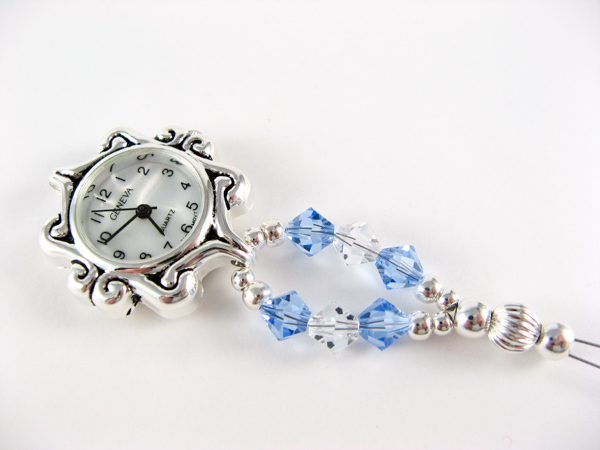 Bring the two ends of beading wire together and string them through a 5mm silver bead, a 6mm ribbed silver bead, and a 5mm silver bead. 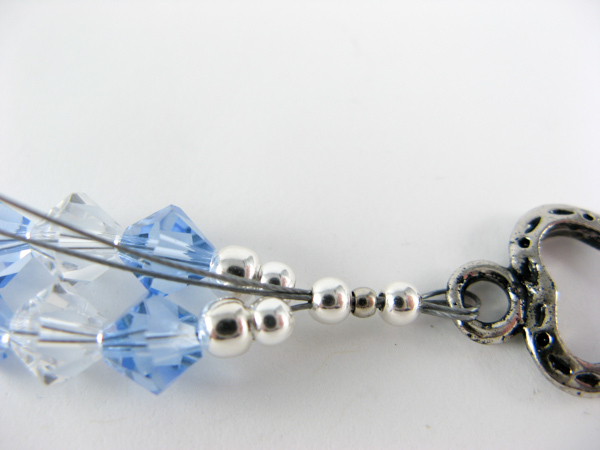 Step 2: Separate the wire ends and on each side string a 3mm silver bead, a 4mm silver bead, a blue crystal, a clear crystal, another blue crystal, a 4mm silver bead, and a 3mm silver bead. Step 3: Bring the wire ends together and string through a 3mm silver bead, a crimp bead, a 3mm silver bead, and one half of the clasp. String the ends of the beading wire back through these three beads. Pull gently to tighten. Crimp the crimp bead. Trim the excess wire. Repeat Steps 1 through 3 for the other side of the watch band.